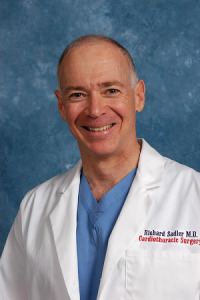 » Watch Next Video by Richard Sadler, MD, FACS - How does sclerotherapy treat spider veins? What differentiates VNUS closure from vein stripping? We are often asked if VNUS closure is the same thing as vein stripping. Vein stripping is a technique from years before where we would take a catheter or steal cable, tie the vein to it and rip the vein out of the leg. Although it is effective in removing the vein, clearly you can see it would have a number of side effects; most of which are very unpleasant. A better technique is the use of a VNUS catheter which looks like this. By putting it up the vein we gently position it and then are able to heat the vein so that vein then closes itself off. The effect is the same is that you stop the blood from running backwards but it is vastly more gentle and has a much, much lower complication rate.